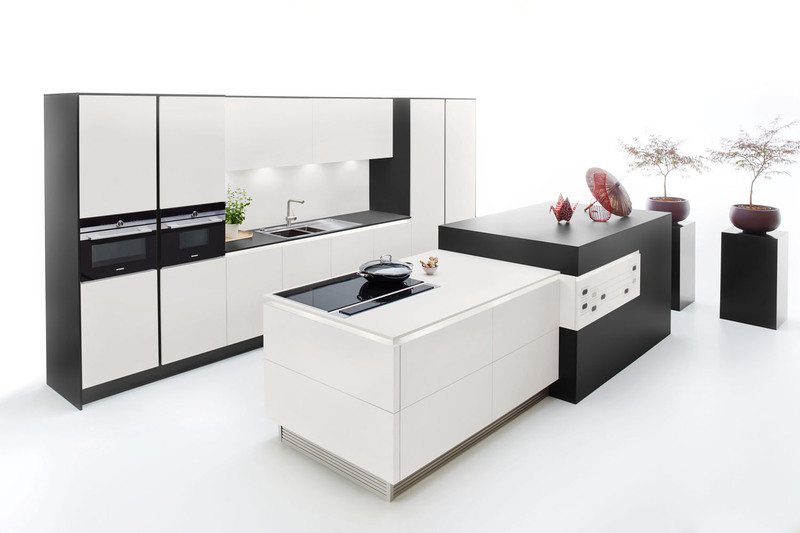 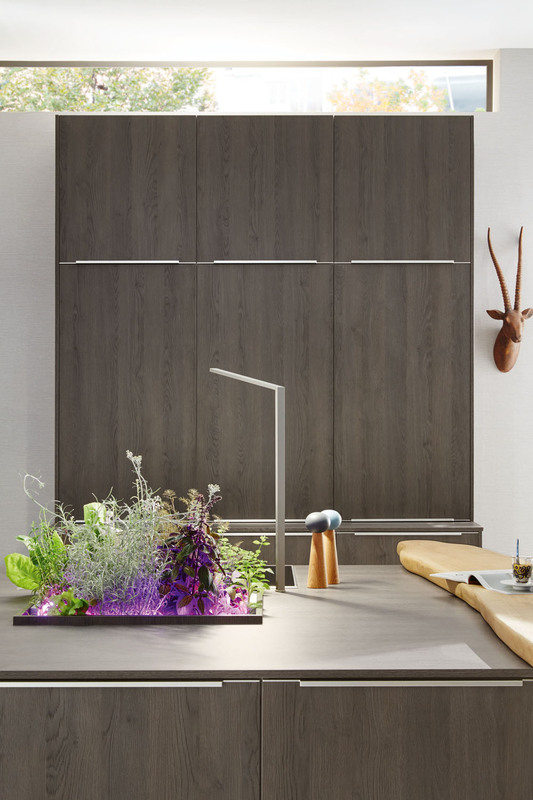 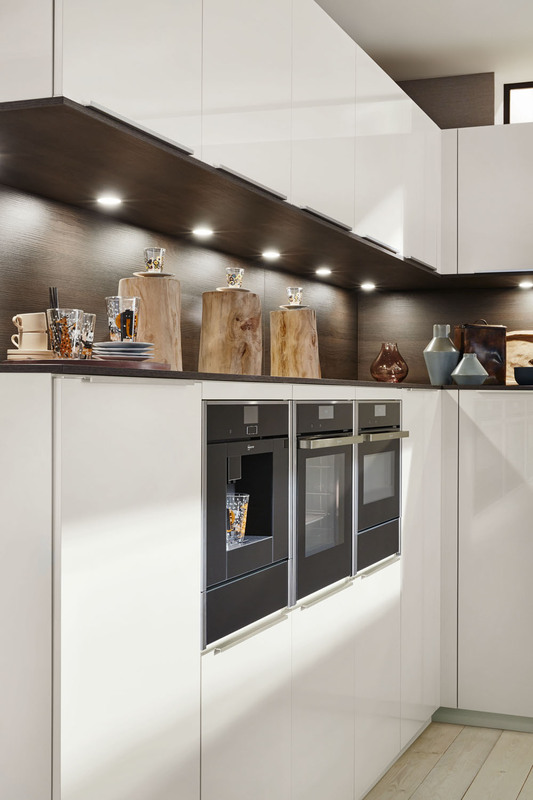 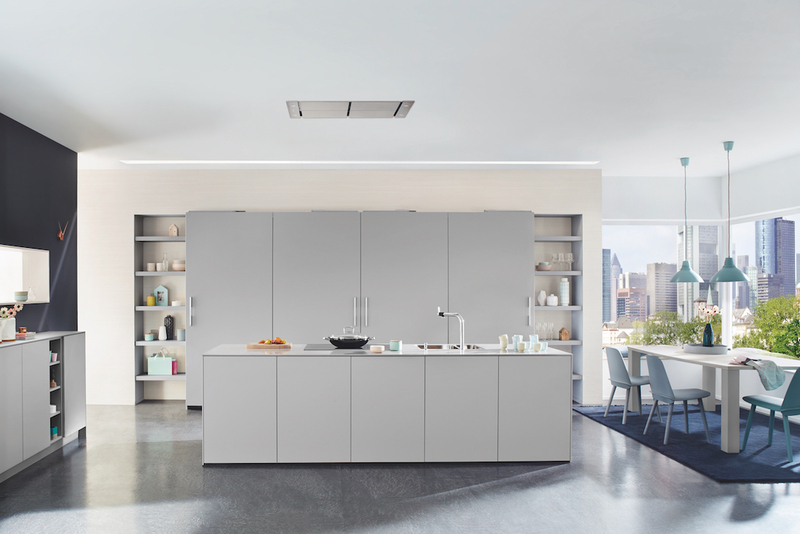 XL 1456 is a modern German kitchen by Ballerina Küchen that uses contrasting melamine laminate finishes to create bespoke kitchen designs. 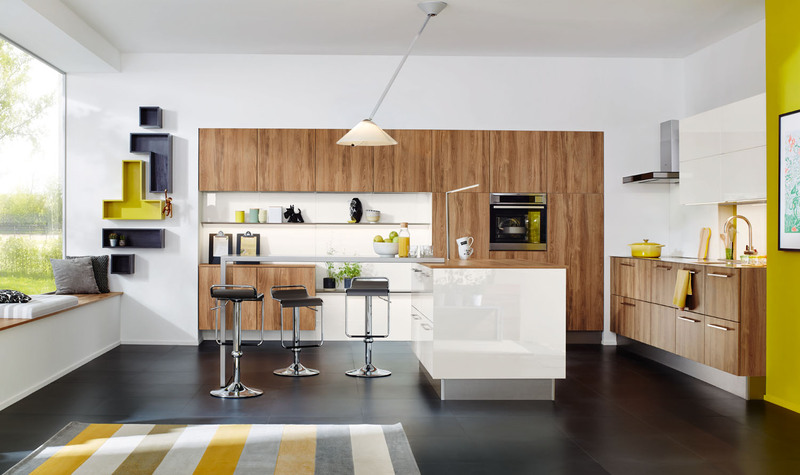 XL 1456 is a modern German kitchen by Ballerina Küchen that uses contrasting melamine laminate finishes to create bespoke kitchen designs. 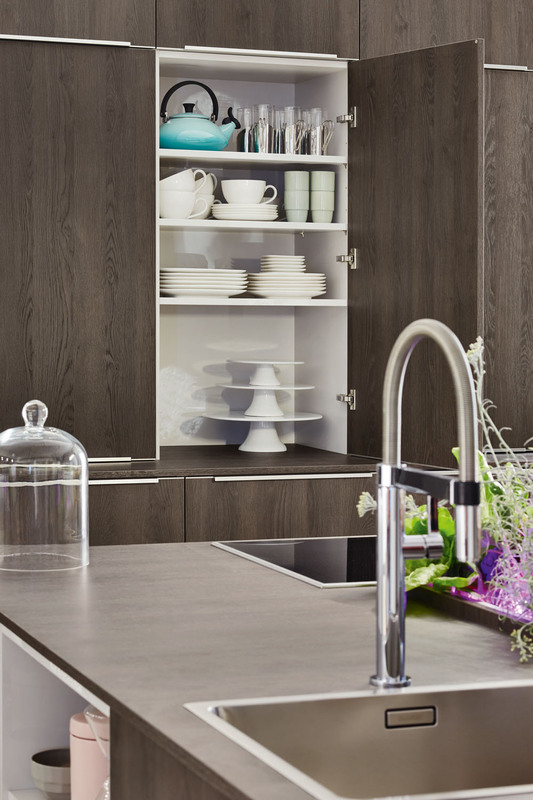 The handle profiles are customisable and one can pick from various melamine finishes that are almost indistinguishable from veneer doors. 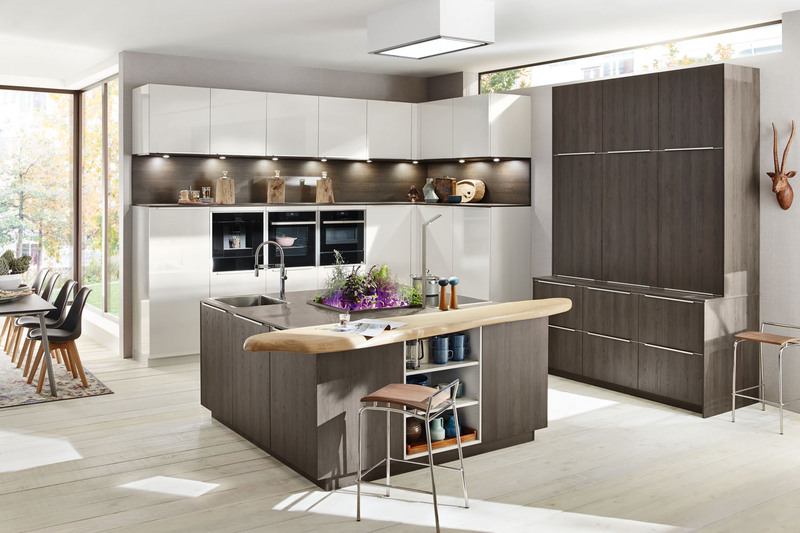 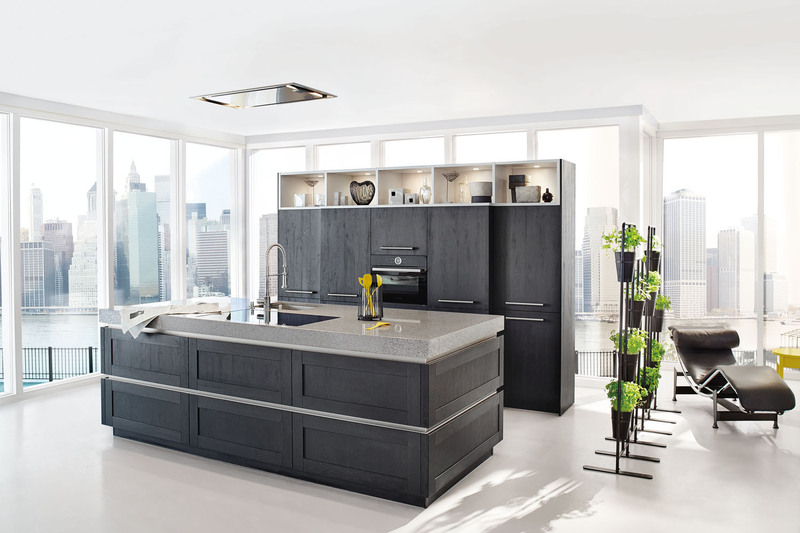 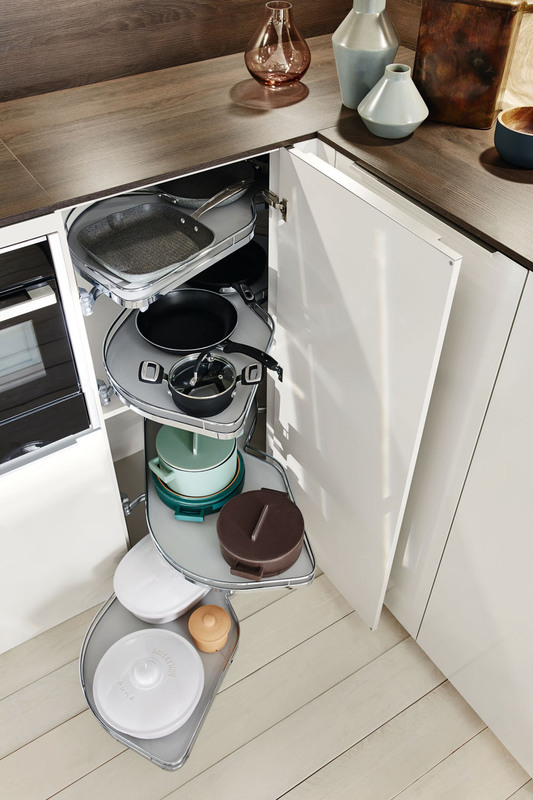 This provides a luxurious kitchen aesthetic while keeping the cost minimal.Ballerina Küchen is known for its expertly executed melamine finishes that have matching carcass finishes in up to 26 different colours! 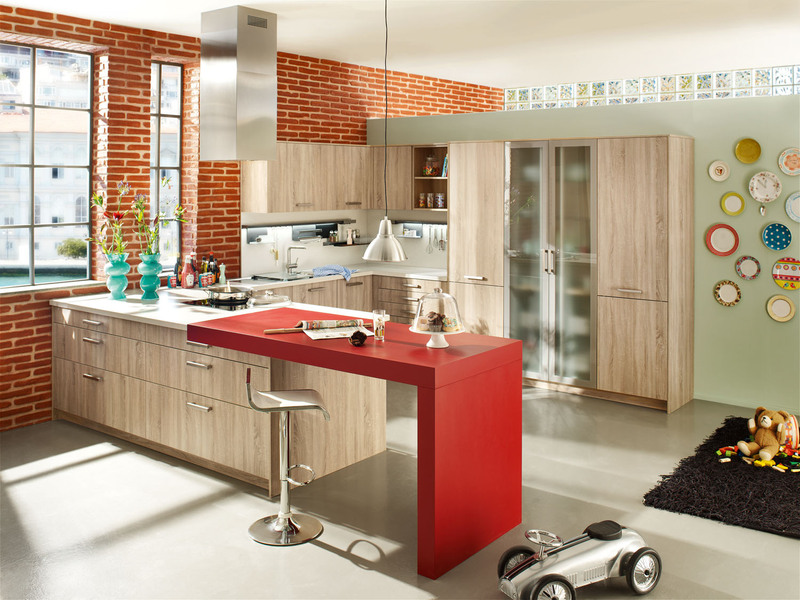 The unique hardwood breakfast counter adds a design element to the otherwise straight-line kitchen.